Davie, Fla. – December 28th, 2015 – Dental Fix RX, a national mobile dental equipment repair company, has officially signed Chet Davis & Blake Corder, Shreveport, Louisiana-based entrepreneurs, as its 230th franchise owners. The agreement will mark the second mobile repair van to launch in the State of Louisiana, and Dental Fix’s 55th franchise sale of 2015. To date, Dental Fix Rx has sold more than 225 franchises and operates in more than 37 U.S. states & three Canadian provinces, providing service to more than 15,000 customers throughout North America. Adding around 1,000 new customers every quarter, the company expects to sell all of its U.S. territories within the next three years. With 75-plus new franchise agreements expected to be signed in 2016, Dental Fix Rx is on track to surpass its 2015 growth rate. To continue its rapid expansion and remain competitive in the marketplace, Dental Fix Rx recently launched a secondary franchise model that is designed to meet the needs of dental practices located in less populated areas. Typically, franchise territories cover up to 350 dental offices. Under the secondary model, if a territory has 250 clinics or less, that franchisee will receive the same training and support provided to all new franchises but will not initially be required to purchase the Mobile Service Center van. Once the franchisee averages three consecutive months of $10,000 in revenue, the company will then require the purchase of a Mobile Service Center van. The Dental Fix Rx corporate team provides all franchisees an intensive eight-week training program, as well as centralized technological and account management services. By handling the majority of the back-end office support, franchise owners are able to solely focus on servicing customers. Dental Fix Rx is the only mobile dental equipment repair service franchise. Confident in its business model, the company is one of the only franchises to offer a franchise guarantee, refunding the franchise fee if new owners do not service 40 clients within his or her first year of business. The company also does not require franchisees to pay royalty fees. Founded in 2009, Dental Fix Rx is a fast-growing mobile dental equipment repair service franchise that is revolutionizing the dental service industry by delivering immediate, on-demand equipment service, hand-piece repairs and cost-effective consumable products through its network of highly-trained franchise professionals. With local franchise owners serving businesses within their market, Dental Fix Rx completes repairs on-site from mobile repair centers that are equipped to fix a wide range of equipment found in any practice – from compressors to chair upholstery. The company has sold more than 200 franchises that service 15,000 customers throughout North America. For more information, visit www.dentalfixrx.com. For franchise information, call (773) 255-4095 or visit www.dentalfixrx.com/franchise/. DAVIE, Fla. (December 10, 2015) – Dental Fix Rx’s EVP of Business Development, Scott Mortier joined Franchise Interviews’ host Marty McDermott on today’s show to share details about the Dental Fix Rx concept, franchise offerings, niche market/industry demand, franchisor support and more. The cost of opening a Dental Fix Rx franchise and guarantee the company promises new franchisees. Franchise Interviews was created for those who have ever dreamt of one day owning their own business. With more than 450 shows, the podcast provides detailed interviews with some of the most informative sources on the topics of franchising and entrepreneurship. 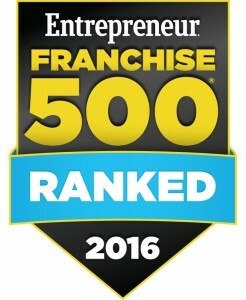 To listen to the segment, visit http://www.blogtalkradio.com/franchise-interviews/2015/12/10/franchise-interview-with-the-dental-fix-rx-franchise-system. SALT LAKE CITY (December 7, 2015) – Dental Fix Rx—the fastest-growing, mobile dental equipment repair service franchise—is helping local dental professionals get back to serving customers more quickly when equipment breaks down, and a local entrepreneur is hoping to serve more area dentists by launching a second unit in Salt Lake County. Traditionally, when equipment malfunctions, a dental practices’ main option is to contact their area dealer whose large sales area prevents them from being able to respond quickly or deliver personalized service. Philip May—who locally owns and operates two Dental Fix Rx franchises in Salt Lake County—is relieving this pain point felt by many dental professionals throughout the greater Salt Lake City area. Earlier this year, May became the first Dental Fix Rx franchisee in Utah, servicing up to 350 dental offices throughout southern Salt Lake County. After a corporate career in the logistics industry, May was ready to explore business ownership and researched many franchise concepts before discovering Dental Fix Rx. He was impressed by the level of corporate support and the unique service it provides local dentists. With his initial success, May added a second mobile service repair truck in August and hired Sandy resident and friend, David Lindsey, to operate it – allowing them to service up to 700 local dental practices. Prior to operating a Dental Fix Rx franchise, May and Lindsey underwent an intensive eight-week training program with the Dental Fix Rx corporate team. With the technical skills necessary and a fully-equipped Mobile Service Center van, May and Lindsey deliver prompt repairs of chairs, sterilizers, handpieces, vacuum pumps and more, along with sales of new parts and devices – all at a competitive price. Prepared with the latest technology and diagnostic equipment, they are able to provide immediate services and repairs for any dental service scenario. The Dental Fix Rx corporate team provides centralized technological and account management services to handle the majority of the back-end office support. This allows May and Lindsey to primarily focus on serving local dental practices and offering first-class customer service. Dental Fix Rx clients also benefit from always working with the same experienced industry professionals, as well as no travel charges, free estimates and assessments, free emergency loaner service for compressor or vacuum pumps and personalized telephone support and account management. Other services include equipment sales, delivery and upholstery. For more information on Dental Fix Rx of Salt Lake City, visit http://www.dentalfixrx.com/ or call 1-800-586-0340. ENGLEWOOD, N.J. (December 7, 2015, 2015) – Dental Fix Rx—the fastest-growing, mobile dental equipment repair service franchise—is helping local dental professionals get back to serving customers more quickly when equipment breaks down. Traditionally, when equipment malfunctions, a dental practices’ main option is to contact their area dealer whose large sales area prevents them from being able to respond quickly or deliver personalized service. James Moretti—who locally owns and operates Dental Fix Rx of Bergen County—plans to relieve this pain point felt by many dental professionals throughout the area. Moretti recently became the first Dental Fix Rx franchisee in New Jersey and services up to 350 dental offices throughout Bergen County. Before launching Dental Fix Rx, Moretti worked as head of security for high-end retail stores and volunteered with his local fire department. Dental Fix Rx stood out to Moretti because of the support provided by Dental Fix Rx headquarters and the business model, which would allow him to better serve dentists in his community. Prior to becoming a Dental Fix Rx franchisee, he underwent an intensive eight-week training program with the Dental Fix Rx corporate team. With the technical skills necessary and a fully-equipped Mobile Service Center van, Moretti delivers prompt repairs of chairs, sterilizers, handpieces, vacuum pumps and more, along with sales of new parts and devices – all at a competitive price. Prepared with the latest technology and diagnostic equipment, he is able to provide immediate services and repairs for any dental service scenario. The Dental Fix Rx corporate team provides centralized technological and account management services to handle the majority of the back-end office support. This allows Moretti to primarily focus on serving local dental practices and offering first-class customer service. Dental Fix Rx clients also benefit from always working with the same experienced industry professionals, as well as no travel charges, free estimates and assessments, free emergency loaner service for compressor or vacuum pumps and personalized telephone support and account management. Other services include equipment sales, delivery and upholstery. For more information on Dental Fix Rx of Bergen County, visit https://dentalfixrx.com or call 1-800-586-0340. Davie, Fla. – December 3rd, 2015 – Dental Fix RX, a national mobile dental equipment repair company, has officially signed William Huang, a Toronto, Ontario-based entrepreneur, as its 229th franchise owner. The agreement will mark the twenty second mobile repair van to launch in the country of Canada, and Dental Fix’s 55th franchise sale of 2015. Davie, Fla. – December 1st, 2015 – Dental Fix RX, a national mobile dental equipment repair company, has officially signed Michael Stilwell, a London, Ontario-based entrepreneur, as its 227th franchise owner. The agreement will mark the twentieth mobile repair van to launch in the country of Canada, and Dental Fix’s 53rd franchise sale of 2015.